BrazilJS, an initiative for and by the front-end developer community in Brazil, is on the road. In 2018, BrazilJS organizers decided to take a road trip and organize a series of smaller events throughout the country as a way to visit more local communities. Toptal is proud to sponsor the next event, taking place in Sorocaba, June 9th from 9:00am to 6:00pm. The event is a great opportunity to meet the local JS community, as well as the organizers of Brazil JS. 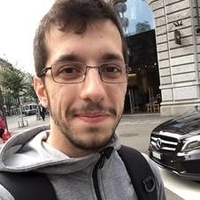 It’s also a good chance to lean more about Toptal from Felipe Bernardes, a Toptal developer, who will give a talk titled 7 reasons to work remotely.